Old sewing machine - The "American" 1. 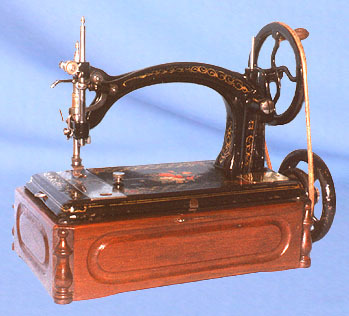 Manufactured in Philadelphia, USA, during the 1870s, this American (buttonhole, overseaming and sewing machine) has survived the years in fine condition. The reverse view is well worth a look - click here.